Download free Flash website templates with text and images loaded via a text file which can be edited using Notepad. These are websites developed in Flash, however all images and text are externally loaded so you don't need the Flash software to edit these templates. They are dynamic website templates where you can add as much of content as you like and the text will scroll automatically. 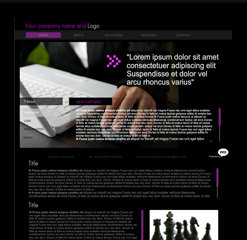 These website templates can easily be customized with your site name, navigation links, content and footer information. 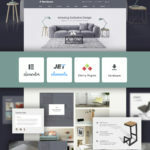 Download these smart, attractive, beautiful, fast-loading Flash website templates and get your own website up and running within a day with our simple help guide. Read our Terms and Conditions before downloading the template. Plenty of space for text in the header and the content area.